This car won the Editor's Choice Award at the Rolling Sculpture Show in Ann Arbor because of the creativity and uniqueness. 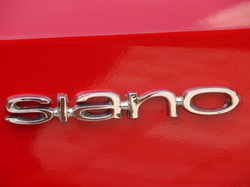 It was also was featured in the December 2010 "Automobile" magazine. Check out the video links found at the lower part of this web page. 48 IDA Webers on a Moon intake. 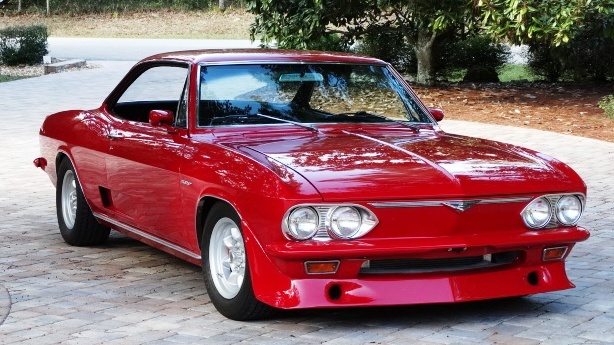 In 1966 I was 26 years old and bought a new 1966 Corvair Corsa with a turbocharged 180 hp engine and a 4 speed transmission. 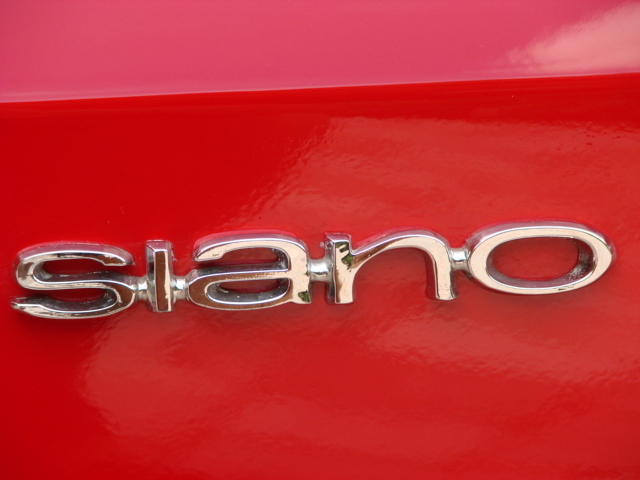 Today I am 73 years old, still have the car and the same transmission but not the original engine. 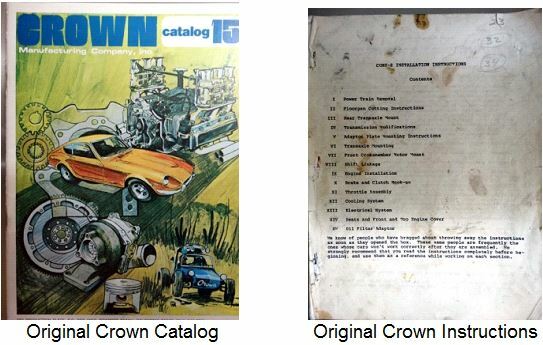 During the summer of 1969 I watched with interest as a friend, Frank Parker, assembled the first Crown conversion Corvair I had ever seen. When it was finished and after he had given me a ride I was very sure I wanted one too. Money was tight but this was a project I really wanted to do. 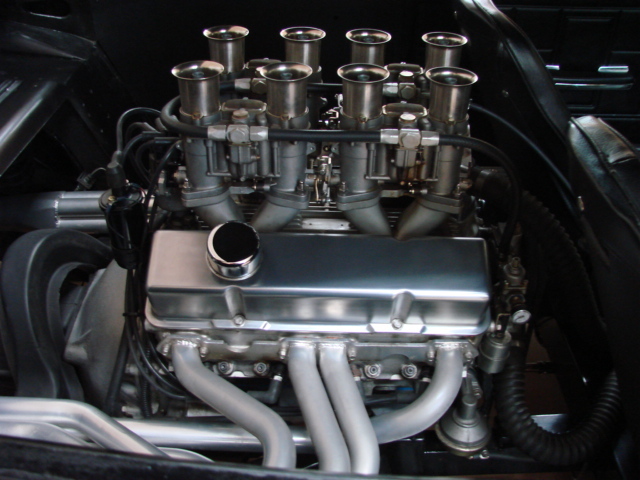 The first engine was a Chevy 327 which ran briefly but wiped a cam lobe and ruined a Crown input shaft. 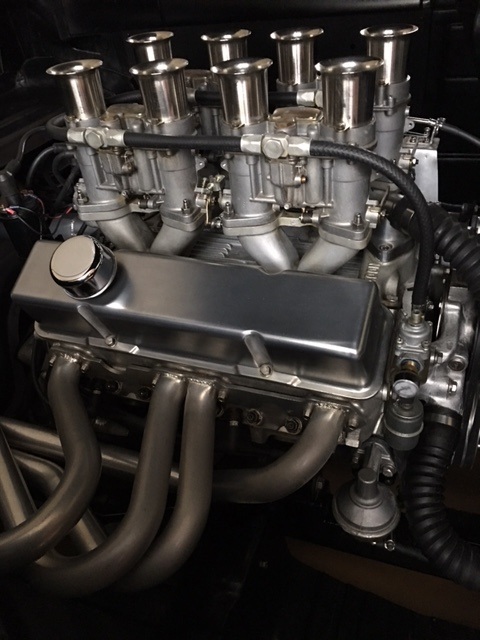 Discouraged but not defeated I eventually installed a Chevy 302 Z-28 engine and this time I took great pains to dial indicate the bell housing to insure it was dead on the crankshaft center line to insure additional longevity for the transmission input shaft. (Doing so must have been the answer because it has been in the car for 40+ years.) The 302 was a good choice for a Crown conversion, although it was a little down on torque which is a good thing considering the limited torque capacity of the stock ring and pinion, but man did that thing rev and sound great doing it! 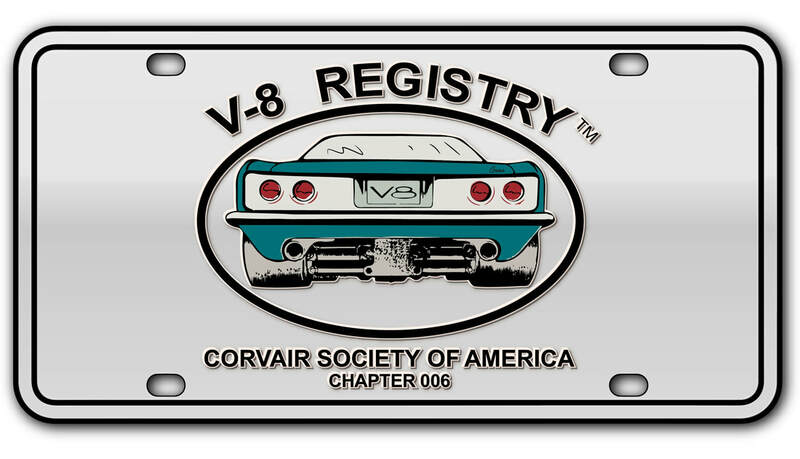 I came across a Chevy aluminum 283 block and thought it might one day find a home in the Corvair and it did. I owned it for almost 30 years thinking it was probably an engineering piece used to investigate the possibility of aluminum engines in Corvettes. I guessed incorrectly. It wasn't until just a couple of years ago that I learned what it really is. 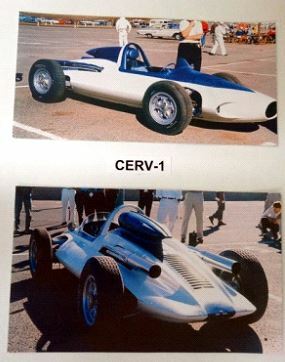 It was likely ordered by Zora Duntov and/or Ed Cole for the Chevrolet Engineering Race (later Research) Vehicle number one. (CERV-1) The block was cast for GM by Alcoa in March of 1959. So far this story reads like a smooth continuous flow of progress but in reality there were times that it was not touched for months or years because life kept getting in the way. (I'm glad I didn't give up.) Over the years I tried lots of different things always in the pursuit of improvement. I think I've done every modification at least twice. A friend made a youtube video about the car about four years ago. (Search: aluminum Corvair) Have there been changes since then? Yes, several. 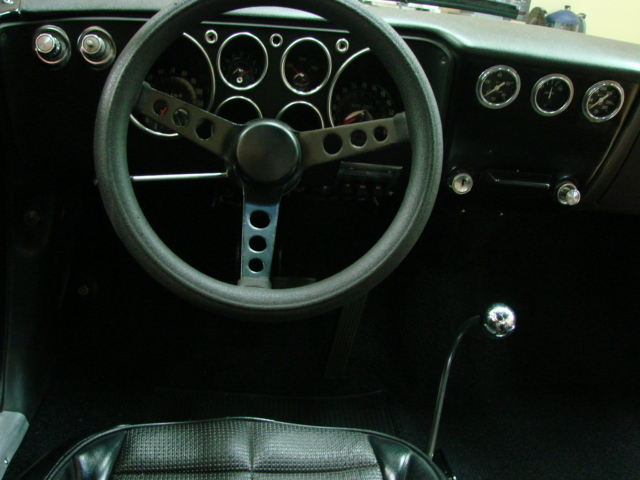 I installed a quick shift kit which made a big improvement in shifting. 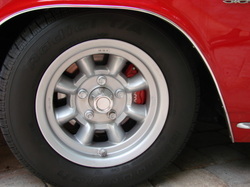 A Wilwood brake system upgrade lightened the car and delivers improved braking. A Pertronix III ignition eliminates points and delivers a hotter spark while keeping a stock appearance. The side windows were removed (Clark's made door panels without window crank holes.) along with the radio to lighten the car a bit more. In the interest of saving weight, the car has: aluminum block, heads, pan, radiator, water pipes, brake calipers, wheels, master cylinder and bell housing along with an acrylic rear window, fiberglass bumpers and the controversial engine cover delete option. It weighed 2,485 pounds (front 48% and rear 52%) before it went on a diet. I am guessing it is now very close to 2,400 pounds and probably very close to 50/50 front/rear with a driver. Because I believe the engine block now in the car should be in a museum, the next block is sitting in a corner of my garage. It's a Chevy aluminum 350 race block. When I bought it I was told it had been ordered by Dale Ernhardt but he died and before he took delivery. Race blocks do not have an oil dipstick hole or a mechanical fuel pump boss. I also learned that Chevrolet does not make a crank for that block as racers always install billet cranks ($$$) In order to use the forged crank I had, it was necessary to turn a little off a couple of crank throws, add heavy metal and then be rebalanced. The 283 block has a cam designed specifically for Weber carburetors. 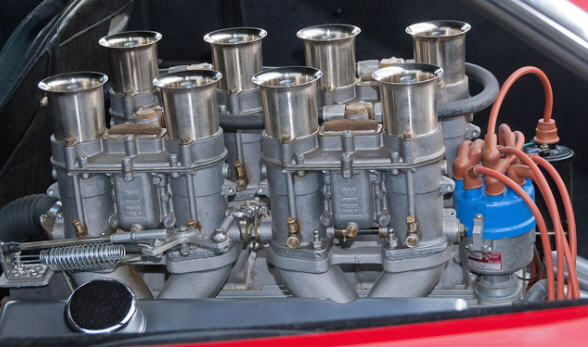 The next engine will also have a cam designed for Webers but will be more aggressive which when combined with the additional 80 cubic inches, should generate enough horsepower to be at/near/beyond the maximum the ring and pinion can handle, even with two additional spider gears. It should be a true sub 5 second to 60 mph car and corner at .9 Gs. Not bad for a 48 year old car and a 44 year old idea. And yes I think GM should have done a mid-engine car like a Crown in the 60s or 70s. It would have been very much ahead of its time. Has this project been expensive? Absolutely, but if the dollar amount is divided by the number of years I've had it, it's a bargain. I think attention to detail makes a big difference in overall outcome. A big project is nothing more than a series of small projects. I took my time on each step and the finished project is done about as well as my abilities allow. The whole thing puts a smile on my face. I've removed the side glass and operating mechanisms, gone to a breaker less ignition with high output coil and installed a quick shift kit. 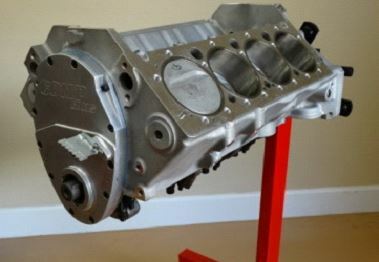 Still trying to find a good home for the alum 283 block...have an aluminum Chevy race 350 ready to install.